As concerned citizens from across the Middle East, North Africa, South Africa, and the world, we ask you to uphold FIFA’s own rules and provide fair recommendations demanding the Israeli Football Association either removes the settlement football clubs from its membership or relocates them outside the illegal settlements. If the Israeli Football Association doesn't comply it must lose its membership with FIFA, as has been the case with other federations that have refused to accept FIFA's fair play rules. There should be zero tolerance for the six teams that flagrantly ignore international law and operate in occupied territory. 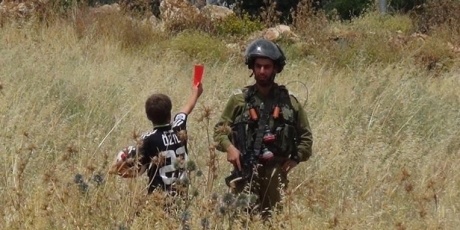 Settlement football teams legitimise the illegal occupation and condone the suffering the Palestinians face as a result. Israel set up six soccer clubs on stolen Palestinian land. The illegal outposts are an obstacle to peace and are condemned by everyone from the European Union to the USA. Palestinians aren’t allowed into the stadiums, let alone allowed to play football there! Now, FIFA is investigating whether these teams should be allowed to participate in international football -- let's demand the decision helps pave the way for equality. FIFA laws prohibit using another country’s land without consent, and South African FIFA official, Tokyo Sexwale, just led a delegation to the region to investigate. Israel is trying to persuade him to do nothing. But if enough of us raise our voices and make this a massive call to Sexwale, who has lofty political ambitions, we could push FIFA to hold the Israeli Football Association accountable. But he submits his recommendation this week -- we have to make this big, fast -- join now.